One common requirement is to control the Country/Province user input in your CRM. One approach is to actually create two new custom entities, one for Country, one for Province, and add the proper relationship for filtering. 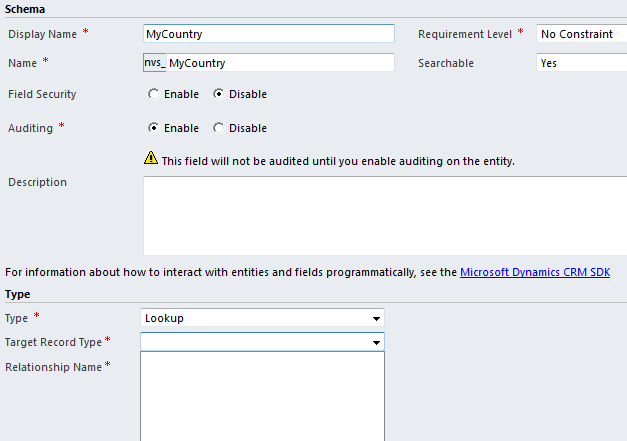 Next you can go through your system and start replacing your Country and Province to add your new entity references. Note, make sure you keep the original Country and Province, hide them, and script it so those fields get filled in, otherwise you will find that in certain instances you’re missing these values. But that’s not where I’m going with this. Once you update your Accounts and Contacts, check all the other major entities, and you get to Address. If you’re like me, and in this case I had a requirement to allow the users to add as many addresses as they want to, you put a grid view to Address in your contact, and voila! Well, not so fast. For the sake of consistency, I kind of want to have the same Country and Province selection method in the Address entity. But, surprise: You can’t! Address is one of those entities that seem to be incomplete as far as functionality. I can create a new custom field, but when I set it up as a Lookup, I don’t get a choice to lookup any of my custom entities (or any other entity for that matter). 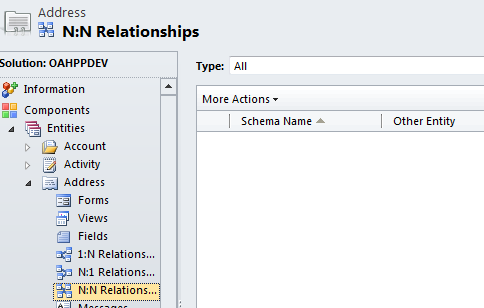 After some more digging, other limitations become apparent: you don’t get an option to create relationships either (whether 1:N, N:1 or N:N). Views is also locked down, where you can only modify the existing views, but you cannot create your own custom view. If this is in the SDK, then I must have missed it, but if you ever try this, know the limitations. Maybe the next version will finally allow us to work with what we have. The only other option you have is pretty much to create your custom Address entity, and work with that. Good luck!